The 100 metre long skywalk goes around China`s mountain called of Tianmen which is in southern China’s Zhangjiajie National Forest Park. It features 99 road turns and it is not for the chicken-hearted people. 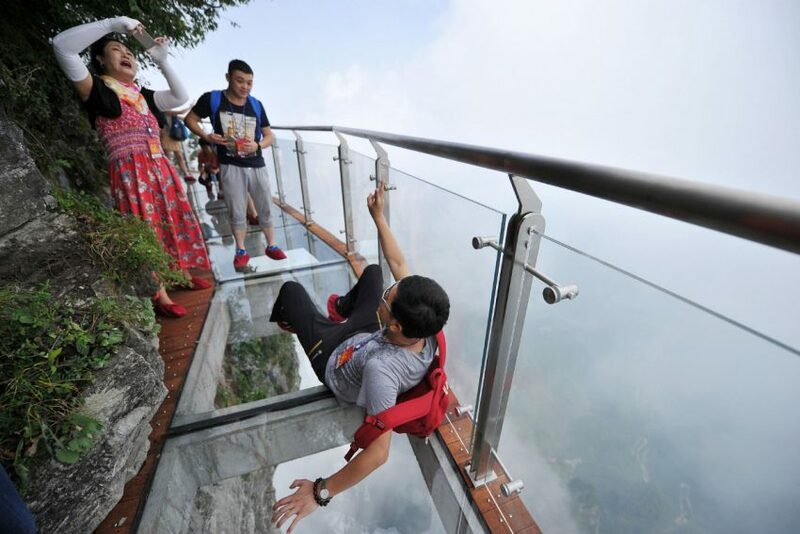 The bridge walkway is just 1.6 metres wide, and the sheer 1.5 km drop ensures dizzying views of China`s Zhangjiajie park. 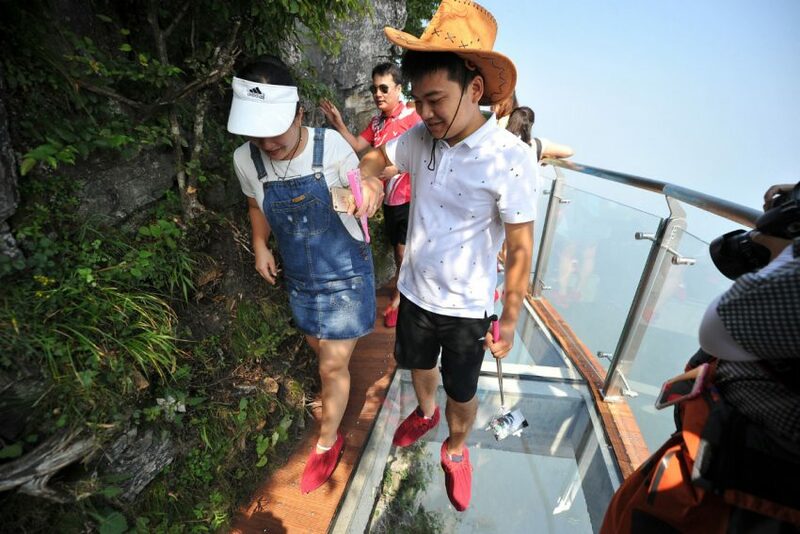 Tourists brave the sky-walk for a unique view of the National Forest Park. Some tourists prefer to stick closer to the edge of the mountain. 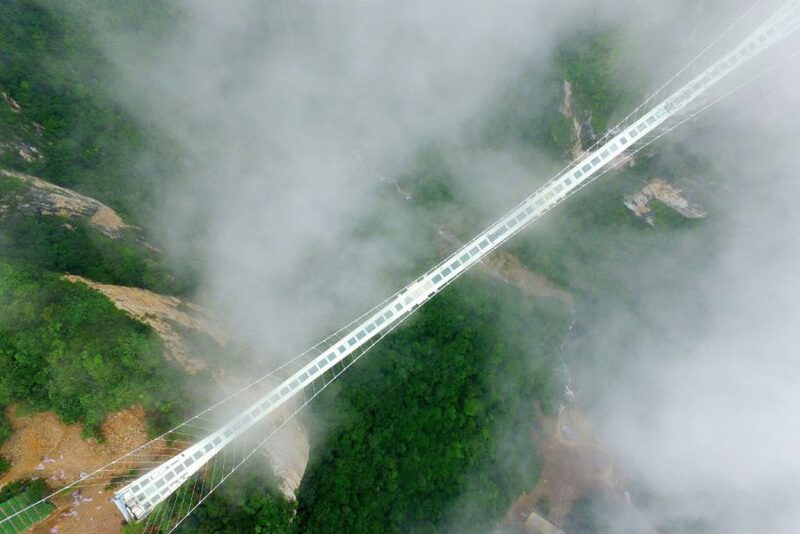 Their National Forest Park already boasts a 430-metre glass-bottomed suspension bridge. 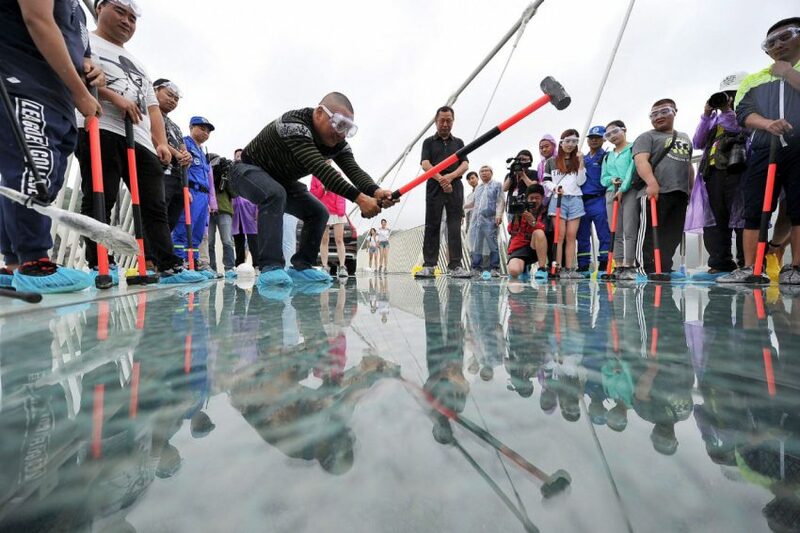 The suspension bridge had its strength put to the test last year on June 25 when officials smashed part of the glass surface with a hammer. 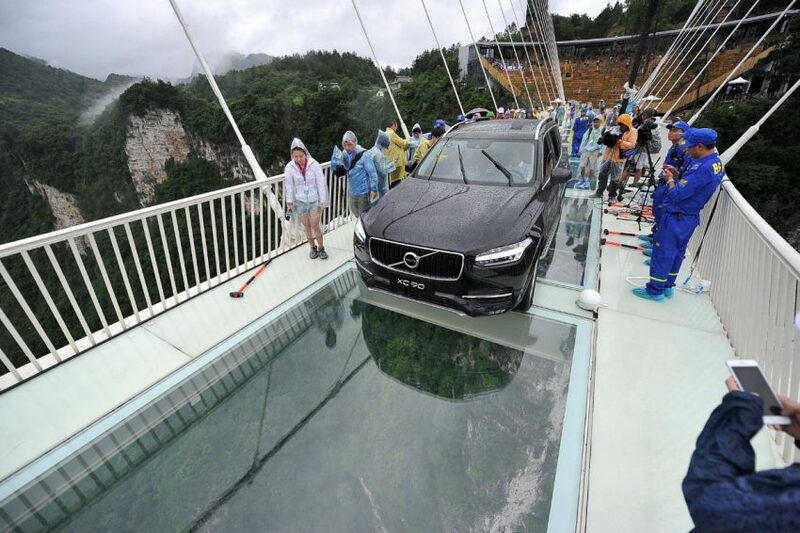 A second test saw a car filled with passengers drive across the bridge.